If you were following the blog last fall, then you probably remember that I did A LOT of tailgating. 14 games in 14 weeks all over the country! (there are 13 on the link, I still need to post the ACC Championship game). Well I am still working on turning this project into a book. I have been doing a lot of shooting/recipe developing over the last few months and am almost ready to send a proposal it out to publishers. Nothing has happened yet, but don’t worry, I will definitely let you know if the book happens and will provide a pretty long post about what goes into getting a book deal. Anyway back to the sweet potatoes. 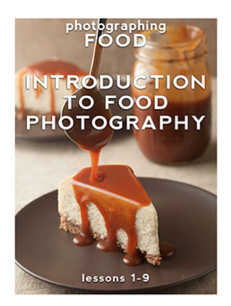 In the book, I am developing tailgating foods inspired by the dishes I saw and ate while tailgating. 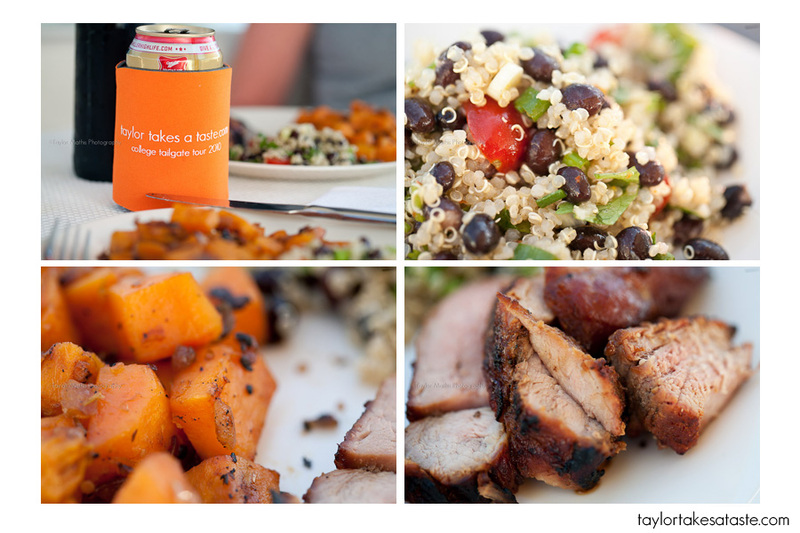 In Tennessee, I had delicious sweet potatoes while tailgating on a boat. (Bottom left) While sweet potatoes are delicious fried, they are arguably even better roasted. 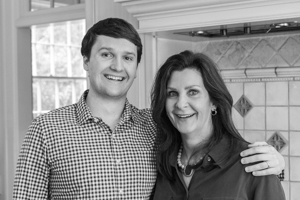 With my Mom’s help we developed this adaptation of what I had in Tennessee. I present to you a Roasted Sweet Potato Salad. In a roasting pan, combine sweet potatoes and olive oil, salt, and pepper. Stir around coating potatoes in oil. Roast for 25-30 minutes at 425 F, until fork tender and golden brown. In a large bowl, add potatoes and mix with the rest of the non dressing ingredients. Let cool while you prepare the dressing. To prepare dressing, whisk together the apple cider vinegar, brown sugar, orange zest, mustard and vegetable oil. Pour dressing over cooled potato salad. Toss. Chill in refrigerator until ready to serve. Toss again prior to serving. With the addition of a whole wheat tortilla and some crumbled queso fresco. This now becomes a delicious taco and a filling lunch! I am sure there are dozens of other uses for this Roasted Sweet Potato Salad, next time I make it I will share with you more uses I find! I normally don’t like potato salad, but this one looks awesome! Can’t wait to try it! Thanks Maria! I don’t usually like potato salad either, this kind is delicious, I hope you like it! Mmh! That looks so good!! I make a grilled sweet potato salad with a spicy chipotle dressing. It’s my new favorite tater salad!! I’m excited that you’re doing a book proposal! I would totally buy it! 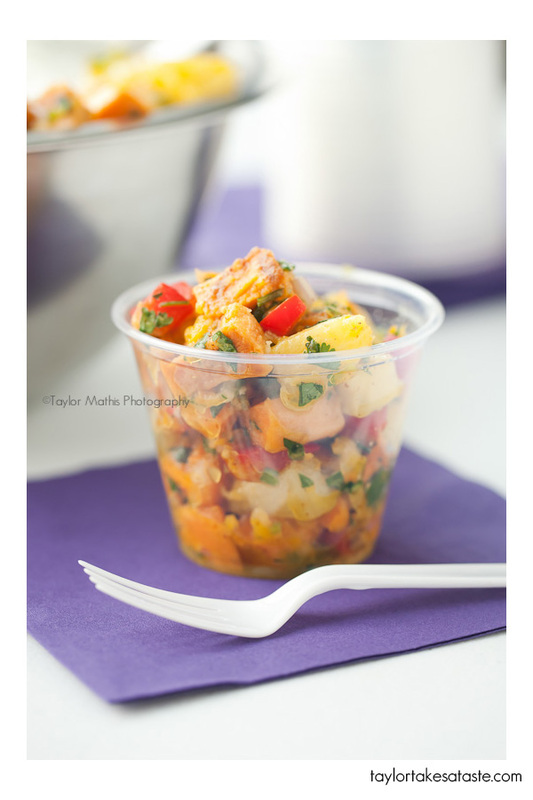 I love that there is pineapple and jalapeno in this potato salad. Sweet and spicy – Yum!! Thanks brooke! Yes it is quite good with the pineapple and jalapeno! I love sweet potatoes in any preparation but this one sounds especially delicious. I think I will serve it as a side to a pork roast. Your photos are wonderful as always. I look forward to hearing about the book process as I am writing two memoir/cookbooks and will be on the hunt for a publisher as well. Mmm…What a delicious sounding potato salad! wow i would like a behind the scenes explanation of how you made a plastic fork look good! and how you got that close in the 2nd to last picture. I got that close on the picture by using a macro lens. I am going to do a post on lenses and what to use when in the next couple weeks. The fork is just a plastic fork. 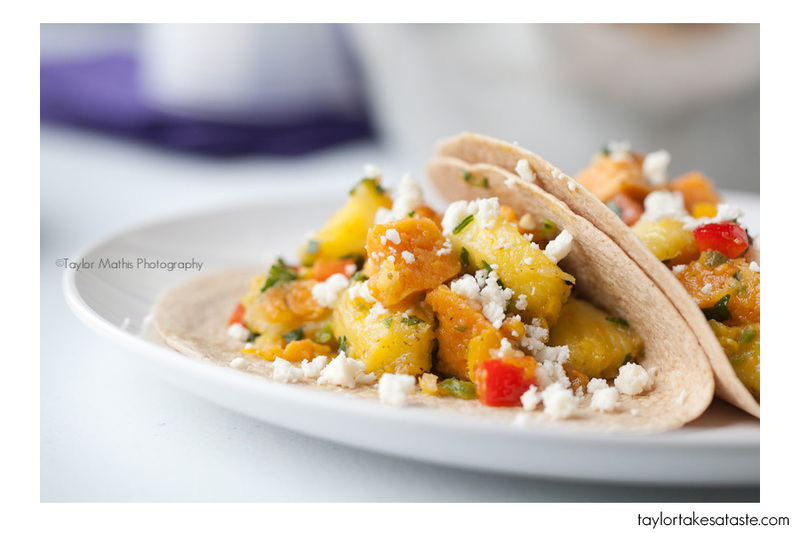 The lighting set up is the same as used in this post http://taylortakesataste.com/food-photography-lighting-tips/ only the light is on the left and reflector is on the right in the sweet potato picture. I hope that helps! bookmarking this to make ASAP! yum! I’m gonna die if I don’t get some of this sweet potato salad immediately. Oh my goodness. On a tortilla with crumbled queso fresco? This looks amazing!! The potato salad looks so delicious! What a fantastic way to make a veggie that I usually only enjoy in the fall – into a summer treat. This sounds amazing – I’m going to have to give it a try. Never, in a million years, would I have thought of sweet potatoes in a potato salad. You’ve just opened my eyes to a whole new way of doing it! I can’t wait to try this for the warmer weather. Oh, and good luck with your book! It sounds like a great idea-a nice twist! This sounds absolutely delicious! My daughter is allergic to pineapple, so is there another fruit you would suggest to substitute? Thanks Marcia! It is delicious with Pineapple. I am not sure what would work as a substitution, the texture and flavor of the pineapple is great, You could always try the dish without it and add more bell pepper. I LOVE sweet potato, anyway I can get it, I love it! This looks just delicious! 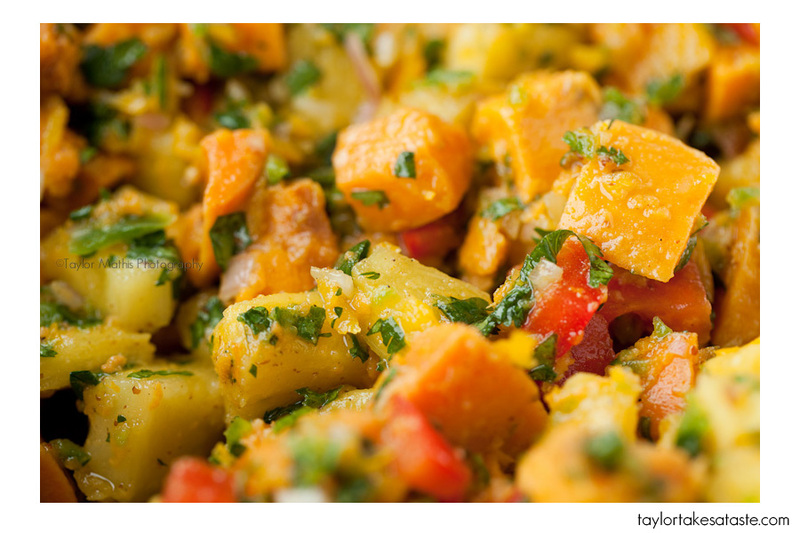 I just found your blog by looking for a recipe for Sweet Potato Salad. Going to make this for 30 people tomorrow. Thanks for posting! Awesome salad! Has anyone figured out the calorie count?? Thanks! glad you like it! , sorry but I don’t have the calorie count. So, so good. and speaking of different ways to serve this, two words: Pizza Topper!! (I made a 1/4 batch) My husband & I cannot have much salt and can’t digest jalapenos. I made it with a very scant sprinkling of salt on the sw.potatoes and without the jalapenos and I added a can of rinsed black beans. It is delicious. I might put a bit of mild green taco sauce in the dressing next time just of a little tang. Just made this for Thanksgiving. First tastes are fabulous. Can’t wait to share with my family tomorrow!